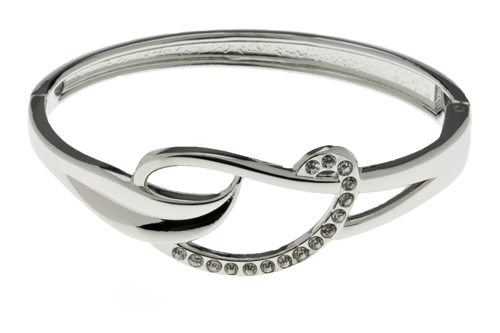 Thin Hinged Bangle for Easy Fitting. Made from Silver Plated Rhodium, with various designs. We have a mixture of modern and classic jewellery suitable for every day or night wear.